Belgian born Johan Willy Maria Gielen and Sven Frans Yvonne Maes met in 1996 after being introduced to eachother by Oliver Adams who worked with Gielen on Body Heat. Oliver Adams quit the project in 1996 and Svenson joined instead. Gielen was already using the Airscape-moniker together with Jos Borremans from 1992. After having some success with the Body Heat-project, Gielen asked Svenson to join the Airscape-project in 1997. The first 2 years (1997-1998), Jos Borremans was in the project and later left Airscape to pursue his own career. The first single for Svenson as Airscape, Pacific Melody was a chart-success and peaked at no 27 in the UK chart. I really like the warm sound that they managed on that track. The followup, Amazon Chant feels almost like something out of a fairytale, especially in the breakdown with it’s birdsounds, those warm strings and that chant. It was another chart-success and peaked at no 46 in the UK chart. The first track I heard from Airscape was L’Esperanza. The track, released in 1999 peaked at no 33 in the UK Chart and was the first track without Jos Borremans and has that signature sound that most Airscape-tracks and remixes after 1999 has. Airscape was also busy remixing other artists and of the earlier remixes i’d recommend you to take a look at Praga Khan – Breakfast In Vegas, Vengaboys – Kiss and Delerium – Silence. Between 2000-2003, they put the Airscape-project on the shelf and started focusing their effort on the Svenson & Gielen-project instead. They still produced some remixes as Airscape but no original productions. Their first release, Beauty Of Silence (with singer Christel Ferket) kept that signature-sound from Airscape and became another success. This was also the first year that Svenson & Gielen had their track become the official anthem for Trance Energy. The 2001-single, Twisted (with singer Paul Mendez) is another legendary track. I especially love that hook after the break. Simply amazing! It was also the official Trance Energy-anthem for 2001. 2002 saw the release of We Know What You Did and Answer The Question. Both tracks were official Trance Energy-anthems. Of the two tracks, I prefer We Know What You Did, especially the part with the strings in the breakdown. Svenson & Gielen-remixes worth mentioning include ATB – Hold You, The Thrillseekers – Dreaming Of You & Lexicon 4 – Reach Me. 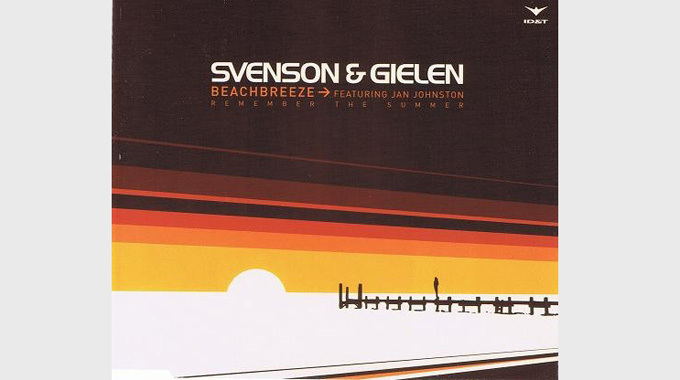 The last release as Svenson & Gielen, Beachbreeze (with singer Jan Johnston) was another legendary track. Though never released in England, only as an import from the legendary ID&T-label, it still reached no 163 in the UK chart. The working-name for the track was Ocean, but later renamed to Beachbreeze (Remember The Summer). In 2003, Svenson announced that they were splitting and going solo. The last track they ever released was an Airscape-single, Sosei which were released the year after. In 2009, Gielen revived the Airscape-moniker as a solo-project and released a new single, My Love (with singer Jes Breiden). The single is more pop-ish than previous tracks. Even the Johan Gielen-remix has lost the original Airscape-sound. He also re-released L’Esperanza with a new Svenson & Gielen 2009-remix. The 2009-mix is also slower than previous and alot more commercial than the original sound. 2010 also saw the release of the long-awaited debut album from Airscape, Now And Then which contains new collaborations with Josh Millstone, Cor Fijneman, Daniel Wanrooy, Mark Green & Ben Jujbregts, all under the Airscape-moniker. When I look back to the results of what the dream team of Johan Gielen and Sven Maas accomplished under those active years I see true classics. Classics that will live on forever, both in their original material and also their remixes. Back in the days when I started listening to trance I knew that if the sleeve mentioned either Airscape and/or Svenson & Gielen, there was some really good tracks inside. I still play loads of their stuff on my stereo and they always gives me goosebumps, and sometimes even tears of joy. Their music will live on in my memory forever.